It’s Opening Night! Do you know what the chart says? As both an astrologer and a theatre person, I am always looking for correspondences between the two crafts. As an actor, I always scan the script for astrology key words for insight into a character’s background and motivations. By the time dress rehearsals come about, I’ve usually roughed out a natal chart for the character I’m playing. It’s part of my process as an actor. Since I don’t get to perform much these days and I spend more time in the audience than in front of one, the astrology part of the equation tends to be transferred to the productions I see. This year, I became a subscriber to the Lantern Theater Company in Philadelphia, due to a friend and colleague from my University of Wisconsin theatre department days acting in two of the four productions this year. I get to see opening night of each show, and mingle with the cast, crew and staff at a reception after the show. Before attending the second production of 2013, The Beauty Queen of Leenane, I was struck by how much the themes of the play were mirrored by the Venus/Pluto conjunction that would become exact about an hour and a half into the performance. This led me to look at the opening night charts for the other plays in 2013 also. The first play of 2013 was The Liar by By David Ives, adapted from the comedy by Pierre Corneille. 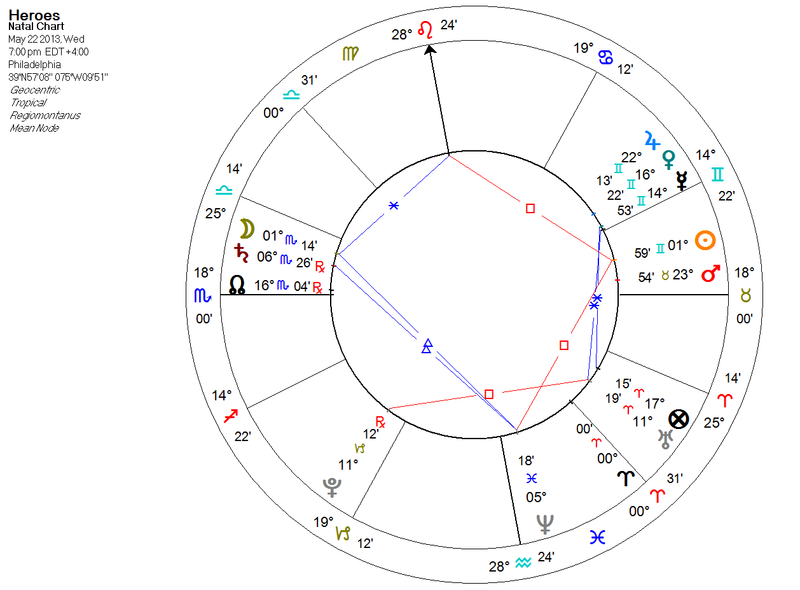 Just the title alone would make astrologers snicker when looking at the chart for the opening performance. With Gemini rising, Mercury in Detriment and retrograde, a Void of Course Moon in Leo, Neptune exactly conjunct the Midheaven, Mars on the descendant, and Venus well-dignified in Domicile in Libra, one might expect a tale of crafted untruths, subterfuge, mistaken identity, and romantic confusions. In addition to the previously mentioned Venus/Pluto conjunction, there are also tight conjunctions between Moon and Uranus and Mercury and the Sun. The Moon/Uranus conjunction will also perfect during the opening-night performance, just minutes later than the Venus/Pluto conjunction. 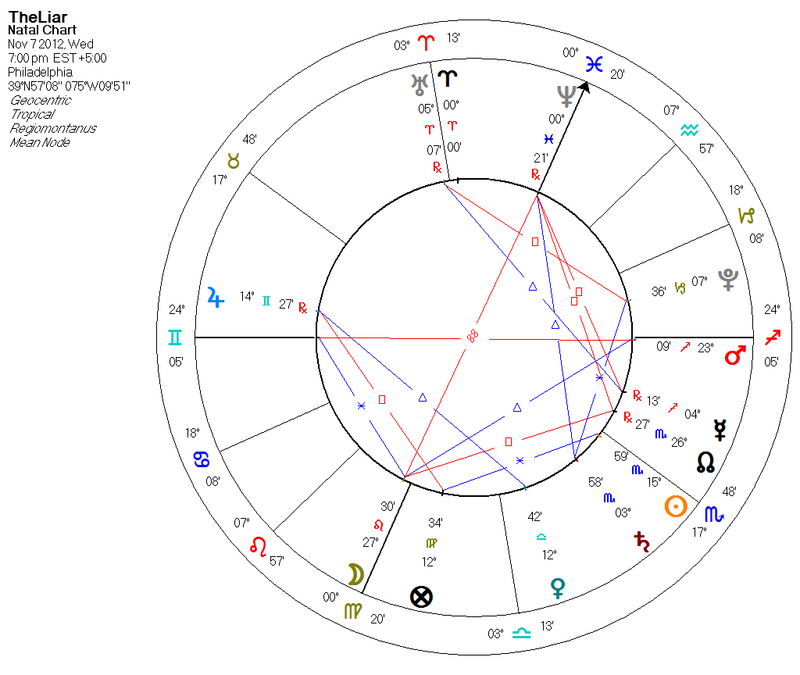 With Virgo rising, a peregrine Mercury combust Sun rules the chart. 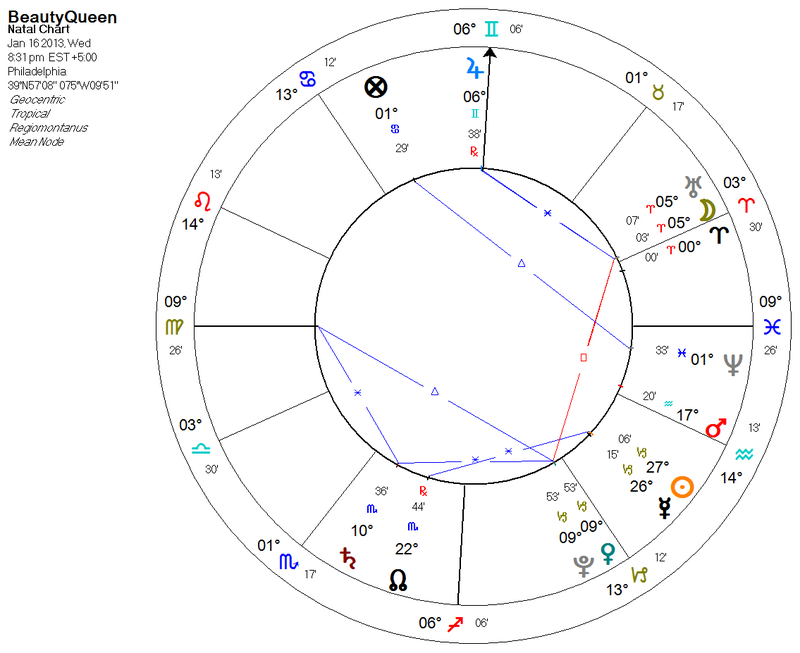 Aside from the mitigating Mars/Saturn mutual reception, the Sun is the only dignified body in the chart – and it is only in Face, at its last gasp of dignity. I won’t ruin the play for those that haven’t seen it, but there are definite Venus/Pluto and Moon/Uranus themes explored. The next play, Henry V, should contain no surprises in plot for anyone familiar with Shakespeare. As we can see, it opens on the Vernal Equinox, with the Sun on the Aries Point. The Sun applies conjunct to Mars and Uranus. This is a play about War – and how the underdog goes about winning it. Virgo rises with Mercury in both Detriment and Fall in Pisces. It is the journey of Hal from Pisces dissolution to Aries action and eventual hard-fought victory. The last play of the season is Heroes, By Tom Stoppard, adapted from Gérald Sibleyras’ Le Vent Des Peupliers. 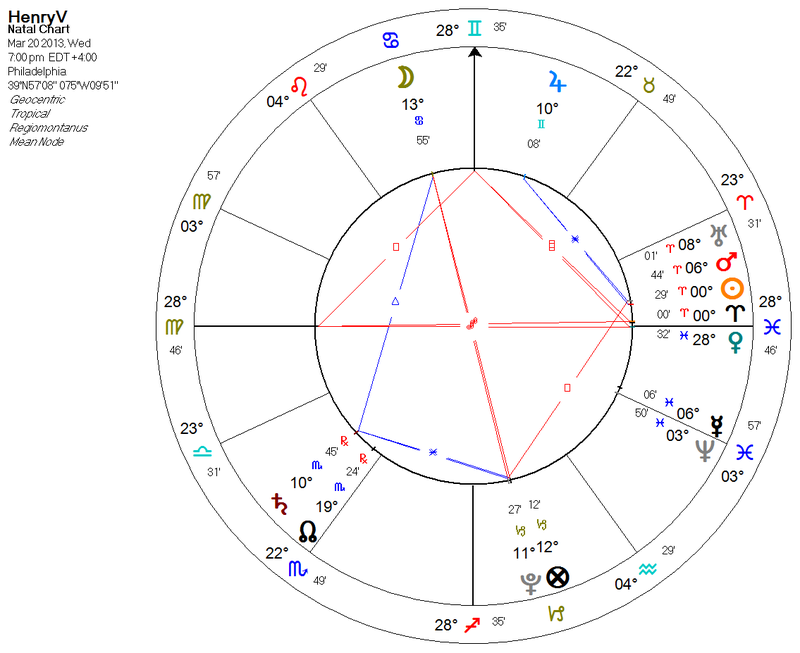 I have not yet seen nor read the play, but the description above mirrors the Mars-ruled chart with its Moon/Saturn conjunction in the 12th House and Mercury/Venus/Jupiter in the 8th House. What this does show, I believe, is that things happen at a certain time for reason unknown to most. The amazing thing is that if you shuffled the order of the plays and the charts, the charts wouldn’t fit – they only really fit that particular play. To me, this shows how powerful astrology can be. Special thanks to Ann Clancy, for inspiring and encouraging me to write this article.